My name is Mark Robinson and I am a freelance writer and musical theatre historian who has written three books The World of Musicals, The Disney Song Encyclopedia and The Television Theme Song Encyclopedia. I also am the writer of the popular musical theatre blog "The Music that Makes Me Dance" and a regular contributing writer for Playbill . The books I have had published and assisted with have been predominantly reference and now I want to narrow in on one specific topic that I feel passionately about: The musical INTO THE WOODS. 1. An in-depth exploration of the creation of the musical as told through interviews with creators, cast members, critics and theatre historians who can share stories on the importance and impact of the piece. 2. The securing of photographs, both behind the scenes and of various productions of Into the Woods. 3. A detailed look at the themes and messages of the musical, how they grow out of human psychology and also challenge our concepts of right and wrong, good and evil, and blame vs. responsibility. 4. A dissection of the songs, their purpose, their place within the musical and how they establish character development. 5. A look at why audiences and theatre enthusiasts gravitate toward this musical. It is important to document theatre history so that future generations can truly comprehend the impact and artistic value of the great works. 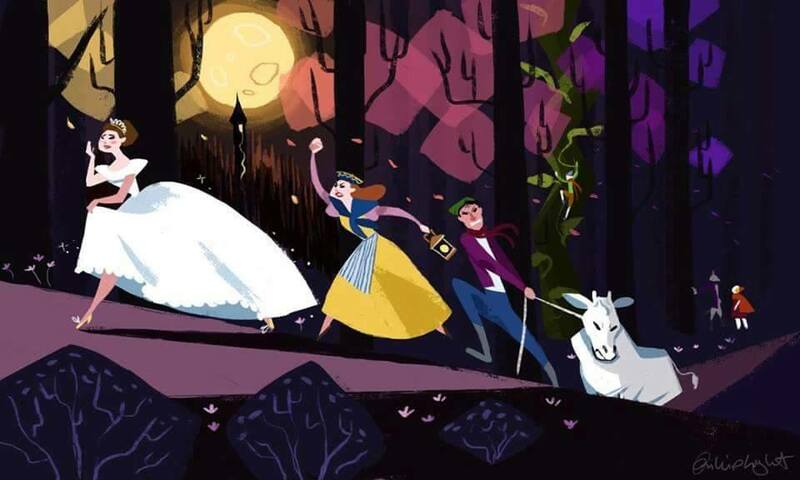 INTO THE WOODS is a great work and I want to dedicate myself to documenting its creation and impact for posterity. I happened upon INTO THE WOODS when I was 15-years old and my parents were going through a particularly ugly divorce. I gravitated instantly toward this musical about parents and their children, the legacies we leave behind (good and bad), and the powers of forgiveness and togetherness. The musical continues to intrigue me as it has resonated differently with me as different points in my life. I have learned that there is a large community of fans who love this musical and who have been equally changed and empowered by INTO THE WOODS. Books like the one I am trying to write rarely make a lot of money, but require money and a great deal of personal investment to make happen. I am attempting to raise the money that will allow me to spend six-months traveling, researching, and securing the photos that will make this book the most informative and entertaining it can be for readers. Your investment will help me tell a great artistic story. We also have some wonderful perks depending on your investment level donated by some wonderful people who already believe in this project! What will your donations do? Preserve the story of a beloved musical for posterity. Help inspire future generations of musical theatre creators. Help me, an avid theatre historian and devoted writer of the genre, to create a uniquely special book about a show that has moved and shaped several generations of fans and audiences. I have managed with great success to bring every project I have proposed to fruition. All three of the books I have already written have been well-received and eagerly scooped up by publishers. This project always risks the slim chance that a publisher might not be interested. I am confident, however, that this book will be published and will be a success for all those who take part.